Yesterday here at Inside The Star, I outlined seven Dallas Cowboys players with the most to gain at this year's training camp. While this marked the team's upbeat arrival to sunny Oxnard, California, the reality is their upcoming practices will go a long way in determining which 37 players miss the cut from 90 down to 53. That is why today, I'll be taking a look at players that may have others breathing down their neck on the depth chart as camp gets underway. Many positions around the team are being coached by new additions to Jason Garrett's staff, offering a rare fresh start for some players to capitalize on and others to succumb to expectations. Here are four Cowboys that could lose the most ground with the team in this last portion of the offseason. The NFL has yet to weigh in on Terrance Williams' May 19th arrest in Frisco, meaning that discipline could still be coming to make matters worse. As it stands currently, Williams is beginning camp as something of an oddity to new WR Coach Sanjay Lal and the Cowboys offense. Along with Cole Beasley, Williams is a reminder of what once was for the Cowboys pass catchers. A lackluster group under coach Derek Dooley, headlined by Dez Bryant's disappointing 2017 season, Williams stands alone as a player that could continue to frustrate in 2018. The Cowboys should ideally be leaning on Williams to show young receivers like Michael Gallup and Cedrick Wilson the way, and I believe the starting Y-WR job is still his to lose at the moment. 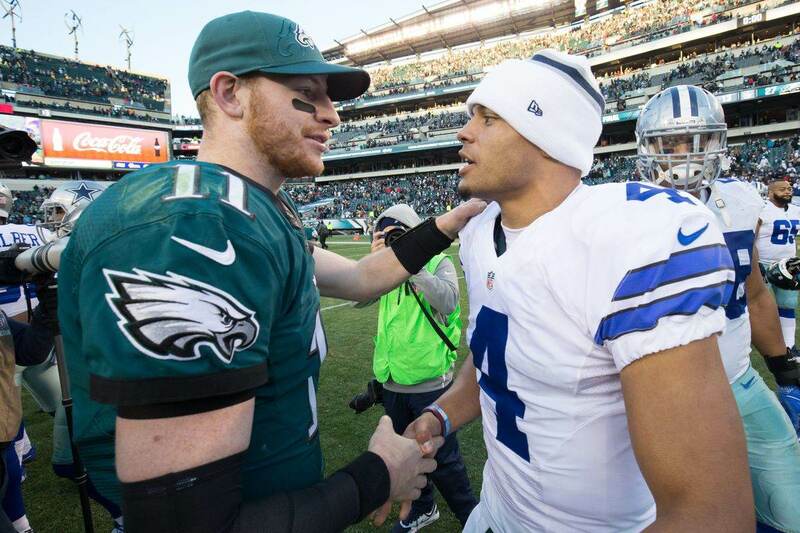 All around him are faster, more dynamic targets that were brought in with Quarterback Dak Prescott's strengths in mind though. Williams is averaging just over 48 receptions and 581 yards in two seasons with Prescott as his quarterback. 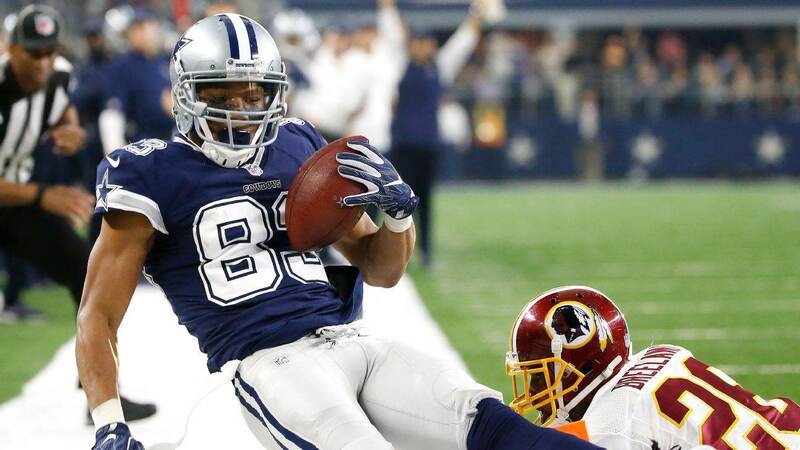 With diminishing production, particularly throughout his five years as a scoring option, Williams has proved to the Cowboys long ago that he'll never be a true number one receiver. I know, the Cowboys and Prescott himself claim they don't need such a receiver to succeed, but it would sure be nice to expect progress from Terrance Williams. Instead, it will be the progress of not only rookies Gallup and Wilson but Allen Hurns and Deonte Thompson too that potentially cause Williams to fade into the season. The Cowboys will need to get creative with their receivers to get the most out of this unit, a change in philosophy that could easily go over Williams' head. In his introductory press conference, Jason Garrett alluded to "three or four" tight ends the Cowboys are excited about, although the roster currently features five. It may be entirely too early to tell which tight ends will have the task of replacing Jason Witten for the Cowboys in 2018, but the team's dismissive attitude towards Rico Gathers is nothing new. Frequently calling the 2016 seventh round pick's work ethic and commitment into question, the Cowboys have not been able to find a role for the converted basketball player either in the passing or running game. Gathers' potential as a receiver is higher than that of Geoff Swaim, Blake Jarwin, or rookie Dalton Schultz. This leaves plenty of room for the Cowboys to end up looking foolish for never giving Gathers a fair chance, but even without a decided starter at TE it seems like Gathers is beginning camp as an afterthought. The optimistic way to look at things is that Gathers has plenty of time to change his fortunes, as the Cowboys haven't begun actually practicing in Oxnard yet. Another month's worth of practice would do little do displace what has been over two years of stubbornness from the Cowboys towards Rico Gathers, and the looming separation of the two parties may be inevitable. Whether or not this counts as ground lost or simply the Cowboys plan for Gathers all along will be determined by his consistency level at practices. Now feels like as good of a time as any to remind everyone that availability is the best trait that any player can possess. It's easy to lose sight of this as we get caught up with daily team updates coming down for the first time in over a month, but not so much so when considering Charles Tapper's unfortunate career in Dallas so far. The fourth round pick of 2016 has managed to play in just two games for the Cowboys. Constantly set back by injuries, the time has come for the team's defensive depth to potentially pass up Tapper. There's no doubt that Tapper's skill set can still help the Cowboys rotation of pass rushers, but justifying a roster spot over any of the defensive ends preparing to work with Rod Marinelli as soon as this afternoon could prove difficult. New to this group is rookie Dorance Armstrong, FA signing Kony Ealy, and the recently reinstated Randy Gregory. Adding DeMarcus Lawrence, Tyrone Crawford, and Taco Charlton makes finding as much as consistent reps for Tapper a struggle -- a promising player that finds himself a long way from this team's final roster. How exactly the Cowboys deploy their linebackers throughout this training camp is something I'll be keeping a close eye on. 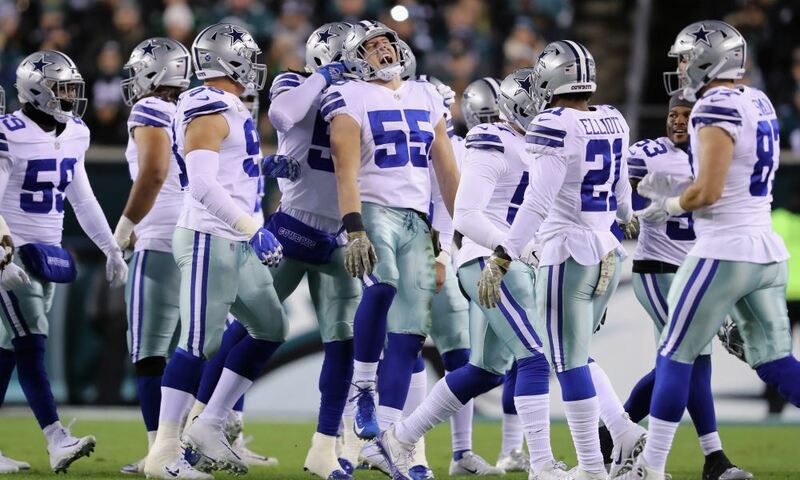 Adding rookies Leighton Vander Esch and Chris Covington to the mix while also signing Joe Thomas, the Cowboys feel better prepared to deal with losing Sean Lee. This isn't to say that Lee and Jaylon Smith won't be the Cowboys preferred options at linebacker, typically running out just two in their Nickel defense. A package that should be utilized more with the arrival of Passing Game Coordinator Kris Richard, all of the Cowboys linebackers are going to be tested in new ways. While this should excite an athletic depth player like Damien Wilson, the fourth-year linebacker has done little to stand out in his development. If his SAM linebacker position is becoming a thing of the past in Dallas, so too may be Wilson depending on how tight the final roster crunch becomes. Predicting the Cowboys to be strong enough at LB by the end of camp to move on from Wilson is simply not a smart approach to the roster, but by his own standards Wilson could end up disappointed in the role he carves out for the Cowboys defense. 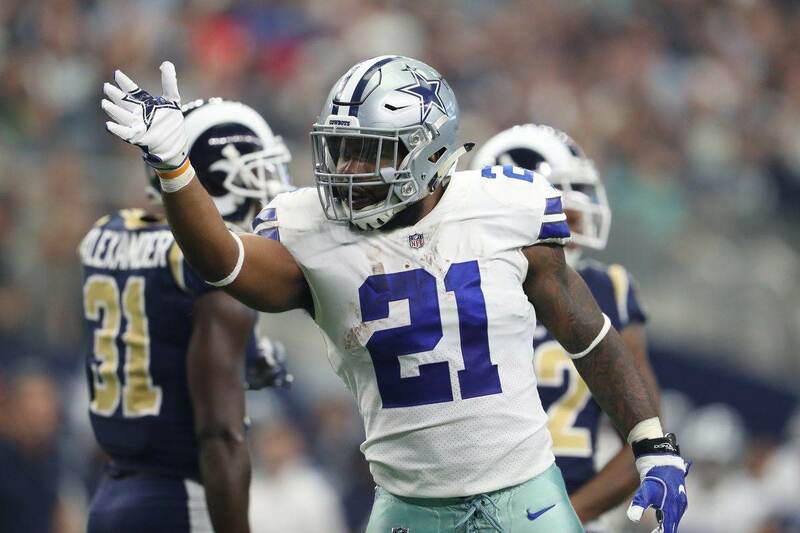 The Dallas Cowboys are out to prove a lot of people wrong this season, and you won't see me complaining if the four players above have their say in doing just that. These differences in evaluation paired with how the new-look Cowboys coaching staff will actually see this roster is what makes training camp so intriguing. After months of pure speculation, it's time for things to be decided between the lines -- such as roster spots and playing time for the 2018 Cowboys over the coming weeks in Oxnard. Tell us what you think about "Cowboys Training Camp: 4 Players that Could See Decreasing Roles for 2018" in the comments below. You can also email me at Sean.Martin@InsideTheStar.com, or Tweet to me at @SeanMartinNFL!